The biggest purchase you’ll make is buying a house. There won’t be anything as expensive as this in your life. Houses cost a lot of money, and can put lots of strain on your personal finances. To afford a house, most people need a mortgage. And, this is where you have to follow some top tips to make things more manageable. A mortgage is a massive secured loan, and it needs to be repaid. The way you manage these payments will be vital for your personal finances. Get on the wrong repayment plan, and you could end up in serious debt. What you need to look out for are interest rates. Try and find a mortgage with manageable rates. If possible, get one that puts you at a fixed rate for a period. This can save you a lot of money over time. Most importantly, ensure you can keep up with the payments you make. Don’t be afraid to pay less over a longer period. Buying a car is probably the second most expensive purchases most people will make. But, there are plenty of tips to help make things more manageable. To start, look at the car itself. Ensure you only buy what you need. If you’re buying a car for yourself, it doesn’t make sense to get a big 4x4 or saloon. Secondly, think about buying a used car. They present better value for money than a new one that loses value the second you buy it. This can help you buy a car for a more manageable price. Next, you have to think about the running costs. Be conservative with fuel use and you can save a tonne of money. Likewise, another big purchase is insurance. Many people spend loads on car insurance, and it damages their finances. My advice is to shop around for the cover you need. There are places like Belairdirect car insurance that let you get a quote online beforehand. This means you can check the best quotes before settling for the insurer. Consequently, you save money, and your finances don’t take as big of a hit. Believe it or not but furniture can be a massive purchase. When you think about it, things like sofas and beds aren’t cheap. Then, consider you’ll need multiple items for one home. Then, think about when you have to buy new versions of the stuff. It all adds up and makes furniture a big purchase. To save money, you should take extra care of the furniture you own. This helps prevent it from being damaged. As a result, you can keep it for longer and won’t have to buy new stuff so soon. Also, there are sites online where you can buy old furniture that people don’t need anymore. It’s ideal for less personal items like desks, wardrobes, etc. Follow this advice, and you can gain control on these big purchases. 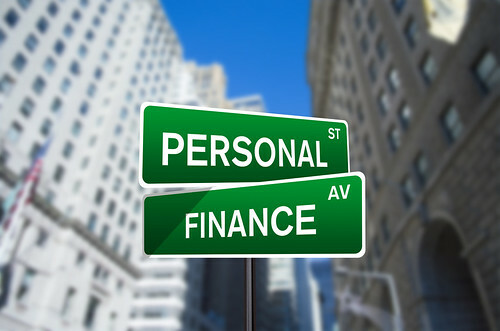 Don’t let them damage your personal finances anymore! ← Wake up! The Student Loan Debt Hustle is real! !